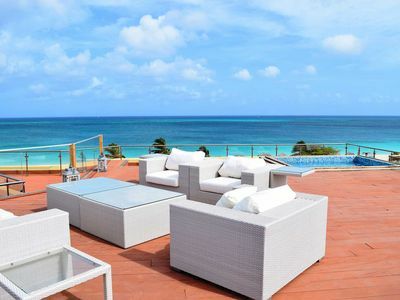 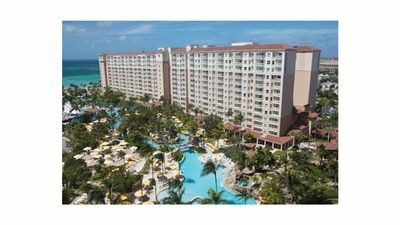 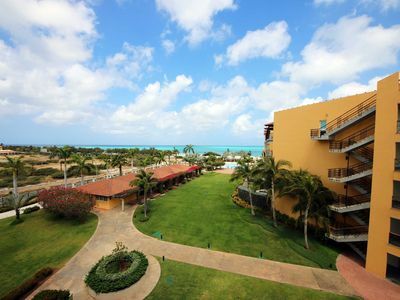 This delightful apartment is part of "Oasis at Eagle Beach", the most luxurious condominium on the island, just 35 units, located steps away from the best beach in Aruba and among the top-ranked in the world, "Eagle Beach", white sand, clear calm water, away from large hotels to fully enjoy it. 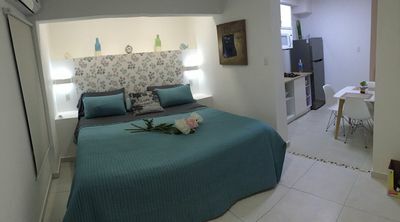 It is provided with all amenities to feel right at home, a room with one king bed, one twin sofa bed and one full sofa bed in the living room, two full bathrooms, living room, fully equipped kitchen, balcony in the living room and bedrooms with sea view, unlimited free WiFi, central air conditioning, washer, dryer, hair dryer, safe box, chairs, towels and cooler for the beach or pool. 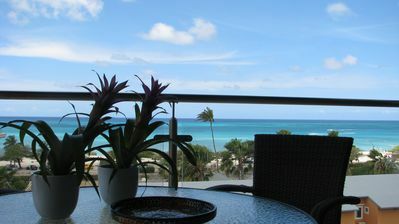 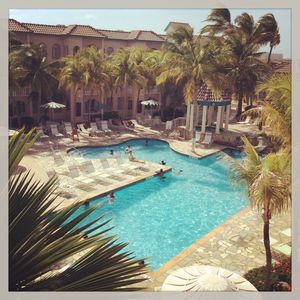 Located on the fifth floor of the five-story condominium high with a stunning ocean view. 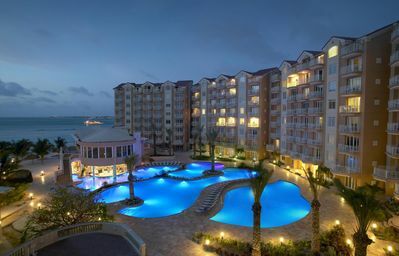 The condo has a spectacular pool with waterfall, jacuzzi, and sun loungers to alternate with the beach, as well as a game room with ping pong, two grills in the pool area under gazebos equipped with tables and chairs , multipurpose gym equipment, elliptical, treadmill, stationary bike, stair climber, set of weights and other equipment to keep you fit, private parking with 24 hour surveillance. 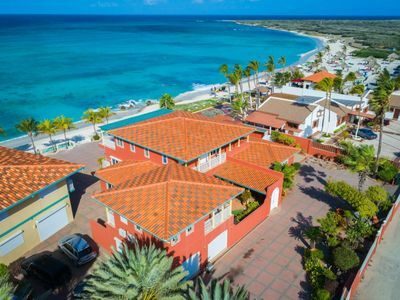 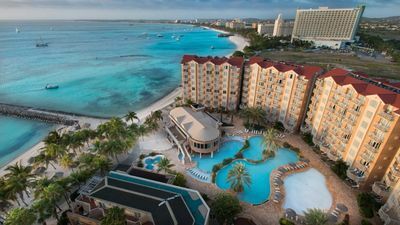 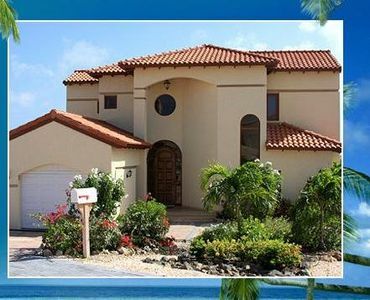 Walking distance three good restaurants on the island, Chalet Suisse, Screeming Eagle, Tulip, also very close to the largest, varied and modern supermarket of Aruba, Superfood. 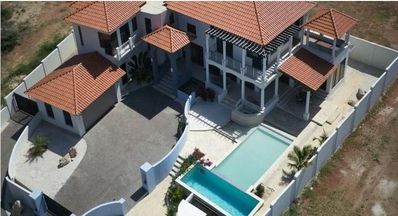 Villa with private pool and lots of privacy! 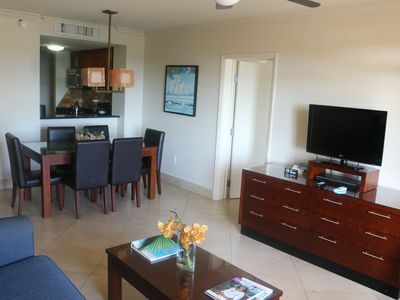 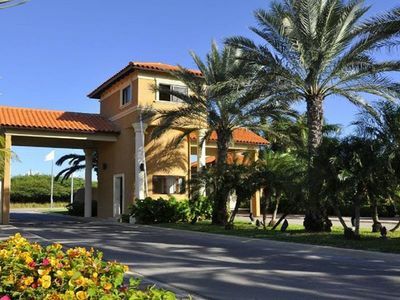 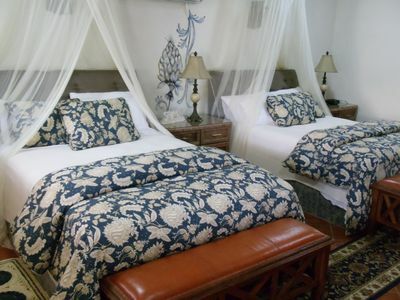 Private and Comfortable Luxury Condo for 2 people. 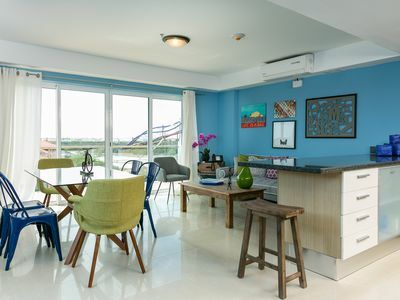 One floor. 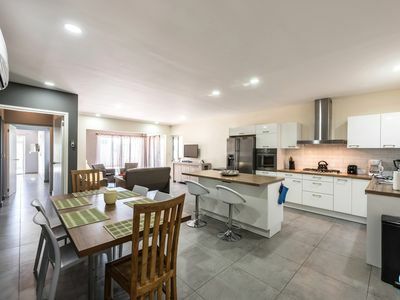 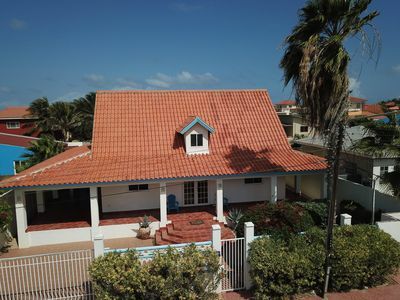 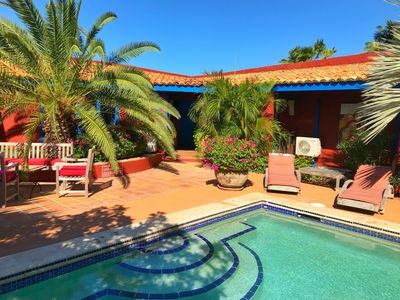 Beautiful tropical ' La Maison ' Studios with pool super close to the beaches.